So here is the thing, “Make her look younger-part 1” received a epic amount of views. I have received calls, emails and messages about the blog and its content. People have been shocked by what was said. I wrote “Make her look younger” a while ago and it was one of the most therapeutic things I have done. I re-read it so many times, not changing a single thing, just taking in what happed to Blondy. What she really went through and the emotion attached to it. Writing it down in such detail meant that old memories had to be revisited and old demons were called upon. It was never originally written in 3 parts. It was one of them moments when my brain was still, and I was able to think and reflect. Then, I broke it down into 3 parts. Man, the detail I went into in the final part. It was like walking in her shoes and reliving it all again. Like I said, it was therapeutic in some sense. I was excited to publish the first part. I knew that it was a message I wanted…no….needed out get out there. A message that people are wrong when they think that children and young people choose to be involved in gangs and exploitation. That they must know what is going on and put themselves in them situations. I had someone say to me that “Why would they just not walk away”. I think “Make her look younger-part 1” gives people an idea that it is not just black and white. That there are elements to gangs and exploitation that are hardly ever spoken of and that can be complex to understand. Then my “Core” people, the ones I surround myself with through choice, reached out to me. Now, not many of my core people know each other, don’t even know they exist… but they have all said the same thing. Stop. Its too much. Don’t send out the other parts. There are a few reasons why they are saying this. One of the main people, someone I grew up with, someone who was there for most of it said, “Careful you don’t exploit yourself ya know”. He made me kind of stop in my tracks. I was offended at first and challenged him. He said that he knows how that story ends. He knows what Happened after Blondy left the block that day. He knows what the next 24 hours look like for Blondy and he doesn’t think that Blondy needs to be exposed like that. Not just yet. I said the it could help people to read what happened and he said…yes it could… but it is also going to cause a lot of upset for people. A few other people have also spoken to me and said that people are not ready for that rawness. That some people may use stuff in a negative way. I gave part 2 and 3 to one of my people to read and she said it was one of the most amazing and torturing things she has ever read!! …..Torturing. Blondy has a story to tell that is raw. The things that happened to Blondy…wow…people would pay good money to never go through such things. Her story, told in the right way, could help many young people to understand the impact of gangs, CSE, county lines, DV and mental health. But she is not ready to tell the story of what happened when she left the block to run home and tell her mum she was staying with friends. What happened in the 24 hours after that …as my good friend said…. Is amazing and torturing for those who may read it. But then those 24 hours have no comparison for the next 4 years that followed. So, for now, I retract the promise of sharing the rest of “Make her look younger”. When people used to refer to caring for the “inner child”, I used to think they were mad. But I get it now. I truly do. Of course, the blogs will sometimes share some of the thoughts and feelings of the past. 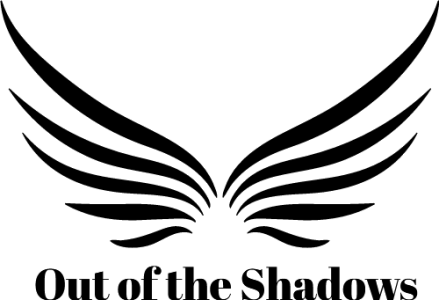 That’s what these blogs are about, the journey of Out of the Shadows, and talking about the past is part of that. Your “core people” must love nd care very much for you. Will still be waiting for blondy to tell her story, when she feels ready.